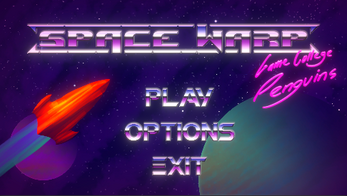 Spacewarp is a local multiplayer game wherein up to 4 players fight in a wormhole to be the last spaceship alive. Players use their laser cannons on their ships to shoot out lasers to destroy each other. The game is played in two phases. The first phase is a FFA, endless respawn mode, where the players try to get the most time crystals in the vortex at the center to destabilize it and travel through it. When depositing a crystal, the player gets one extra point. 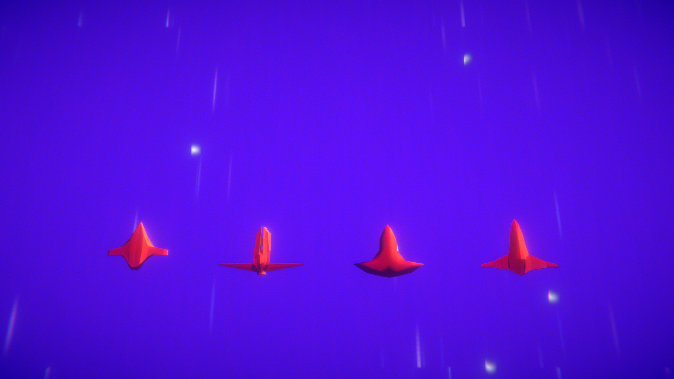 The worm hole exit at the first phase also slows time for the lasers passing through, creating a refractional effect where the lasers split up in 3 parts. 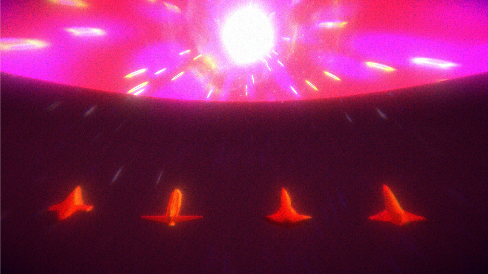 In the second phase, the players try to kill each other in the wormhole to be the last one alive. In this phase, the amount of respawns is fixed, and is based on the amount of crystals that player has deposited in the previous phase.